In just a few weeks we'll be taking our four small kids on a plane to California for a family reunion. After taking our three oldest on a 15-hour flight to Hong Kong a couple of years ago, this four-hour flight feels doable! But our kids are older now - which means a lot more questions. Since they don't remember much about their overseas adventure, I thought it would be good to prepare them for the flight by sharing some great books. 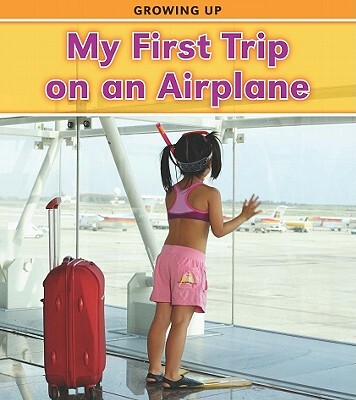 My First Trip on an Airplane - by Vic Parker This simple, informative book has big photographs about things that matter most to children. My kids had questions about the x-ray machine, the oxygen masks, and the airplane bathroom. 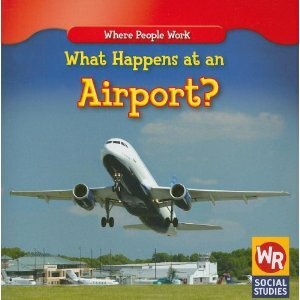 What Happens at an Airport? - by Amy Hutchings This book follows Carlos and his mother through their airport visit and take-off. Kids are introduced to many airport workers, such as the ticket agent, a baggage handler, flight attendant, and pilot. 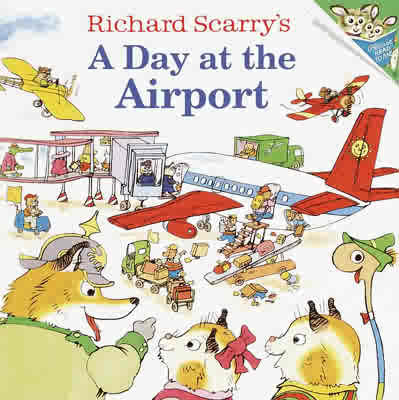 A Day at the Airport - by Richard Scarry While this book won't tell kids what to expect during their flight, they'll enjoy the silly story and learn lots of great vocabulary: words like baggage handler, boarding gate, taxiing plane, and ground controller. 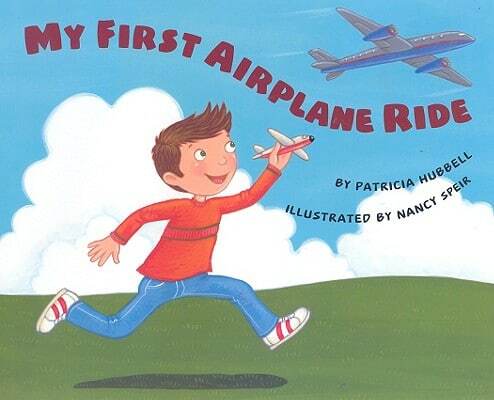 My First Airplane Ride - by Patricia Hubbell I love this book's friendly pictures. Even with its short, rhyming sentences it will teach kids a great deal about what to expect: "Flying time is almost here. We'll take off when the runway's clear. Air controller says, 'Okay!' Plane taxis. We're on our way!" A Visit to the Airport - by Particia J. Murphy With giant photographs and just 1-2 sentences per page, this book is perfect for kids who are just learning to listen and ask questions. 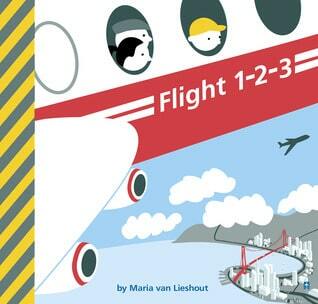 Flight 1-2-3 - by Maria Van Lieshout This unique book shares all the sign symbols your child will see at the airport and labels each one with a word or two. Kids will learn which signs mean check-in desks, baggage claim, escalators, and more. 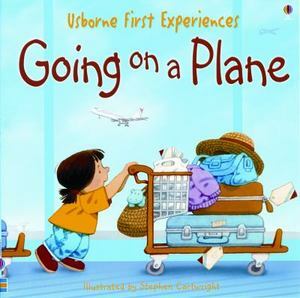 Going on a Plane - by Anne Civardi Children learn about going on a plane as they travel with the Tripp family. The pictures, though illustrated, are a little more realistic than the smiling models you see in the books of photographs. Baggage topples over and spills, the kids jump around at the ticket counter, and a toy gets carried away on the luggage carousel. Cute book! The Noisy Airplane Ride - by Mike Downs Some kids need to be prepared for the noises that will bombard their ears when they take their first flight. From the sound of the engines to the wheels bumping at the landing, I don't think this book leaves out a sound! The rhymes are fantastic: "The wheels bump on taxi out. Ground controllers choose your route. Throttles forward, engines roar. Down the runway, time to soar." A fantastic book. 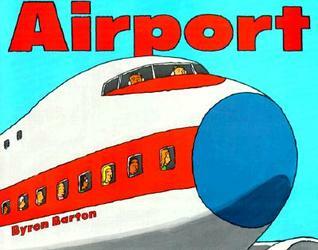 Airport - by Byron Barton This book is an older title (1982), but I couldn't leave it out because it's perfect for your youngest traveler. 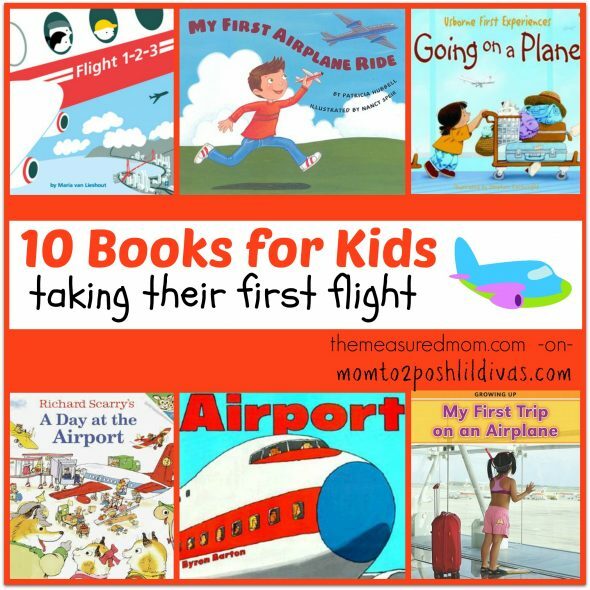 With big, bold pictures and just a few words per page, even your toddler can learn a little bit about what to expect for his first flight. How Did They Build That? 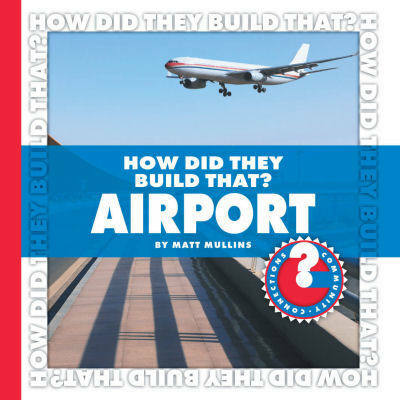 Airport - by Matt Mullins While this book won't prepare your kids for their flight, it will answer the questions of those curious kids who want to know everything. I knew my four-year-old would want to learn everything he could about what it takes to build an airport. Would you like to see more of our favorite books? Visit our Book Lists at The Measured Mom! Anna taught eight years and received her MEd in Curriculum & Instruction with a focus on literacy. In 2007 she began her career as a stay-at-home mom. She has four children – a girl (6) and three boys (4,3,1). She enjoys teaching them at home and after her daughter’s day at school. 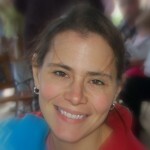 Anna offers education resources to parents and teachers at www.themeasuredmom.com. You can also find her on Facebook, Pinterest, and Twitter.